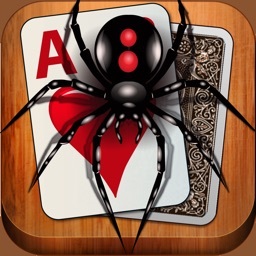 Play this 5-star, top-rated Spider solitaire on your iPhone or iPod with a fantastic user interface, beautiful graphics and subtle sound effects. 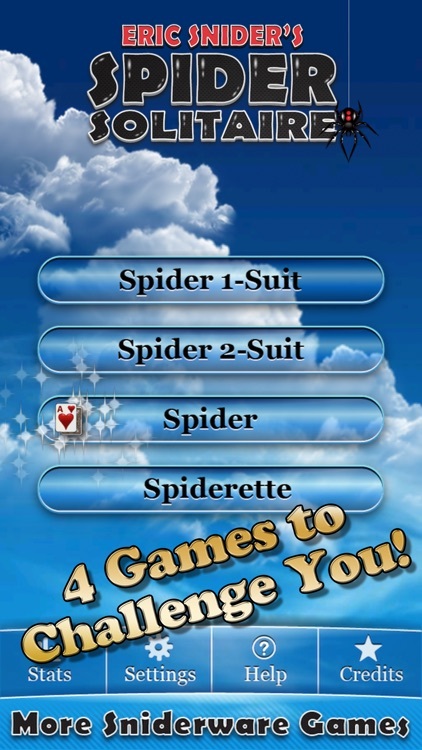 • "I play this all the time. Fabulous update. Better than PC spider solitaire!" 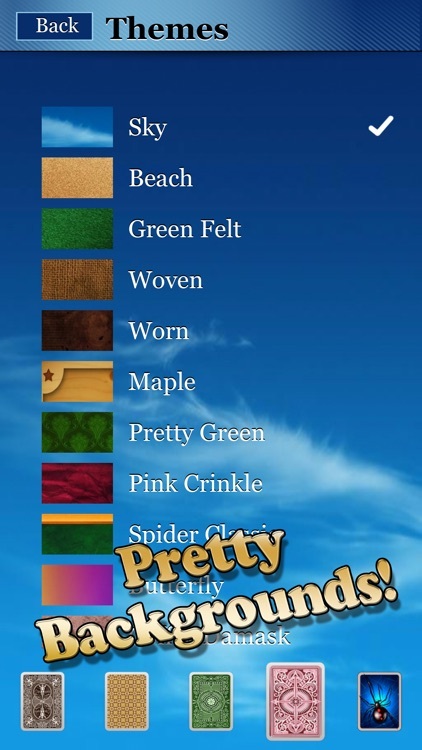 • "Great game to play...simple straight forward and challenging!" • "I've tried so many games and this is the only one I ever play." 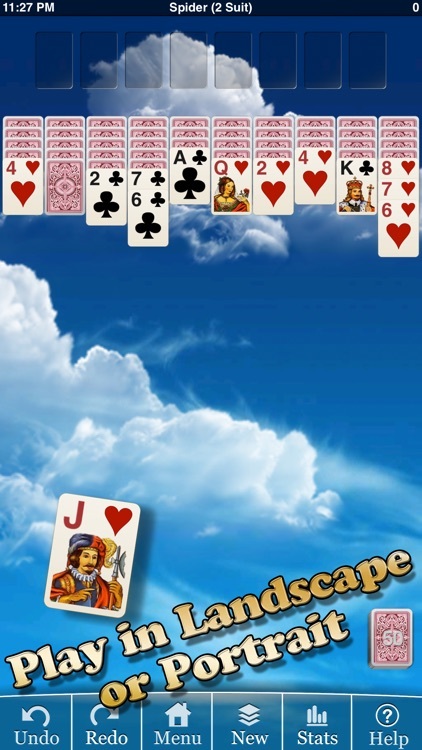 If you love solitaire try all our games. 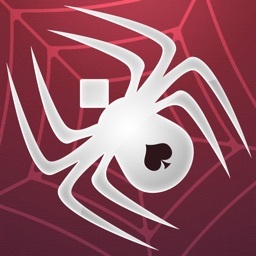 And if you're looking for Spider for your iPad check out the HD version. Written by the same Eric that developed the Eric's Solitaire Sample that came on every Mac in the U.S. and Eric's Ultimate Solitaire for Mac OS. You can drag and drop or tap cards to move them. You can even throw the cards with a shove! 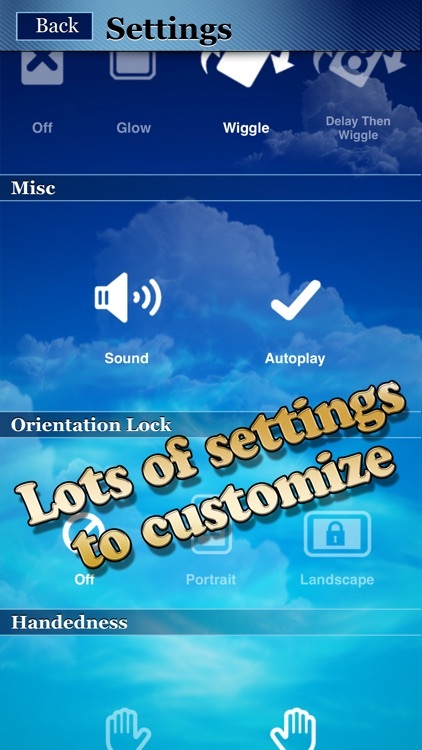 Supports portrait and landscape orientations and has a fun user interface. 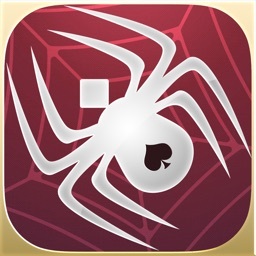 Spider is one of the most popular variations of solitaire. It's Eric's favorite as it offers lots of room for skill. This version is strictly for iPhone/iPod. Your game is saved when you quit or get a call and is quickly restored when you return. 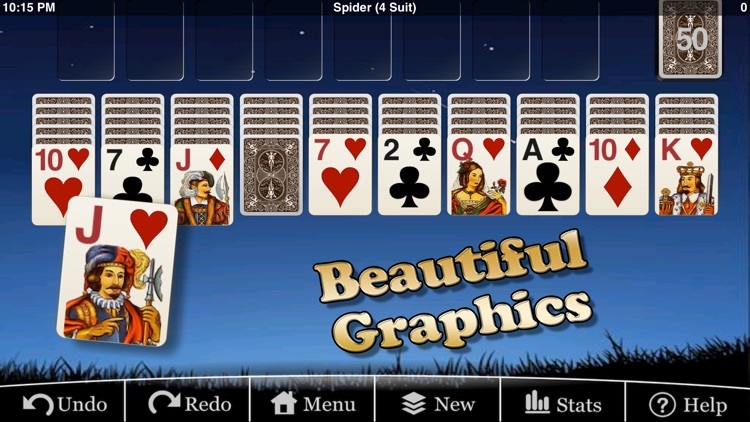 • Drag and drop cards or throw them! 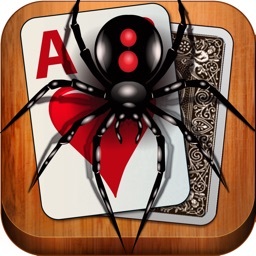 • Playable cards wiggle or glow -- turn off for a bigger challenge. The more the cards wiggle the better the move. 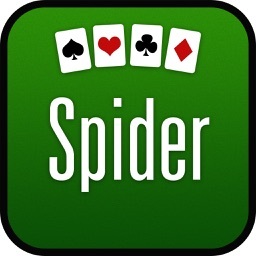 Similar Apps to Eric's Spider Solitaire!